Grassroot Soccer is excited to announce that we’ll be hosting a pre-conference event in conjunction with the 2018 International AIDS Conference. We’ll be updating this page with more information as it becomes available, including other ways GRS will be involved with the conference. If you’d like to receive email updates about this pre-conference event, please fill out the below form. For additional information on the pre-conference event, please read our concept note and check out the agenda. Here’s the full schedule of events and presentations that Grassroot Soccer will be participating in during IAC 2018. 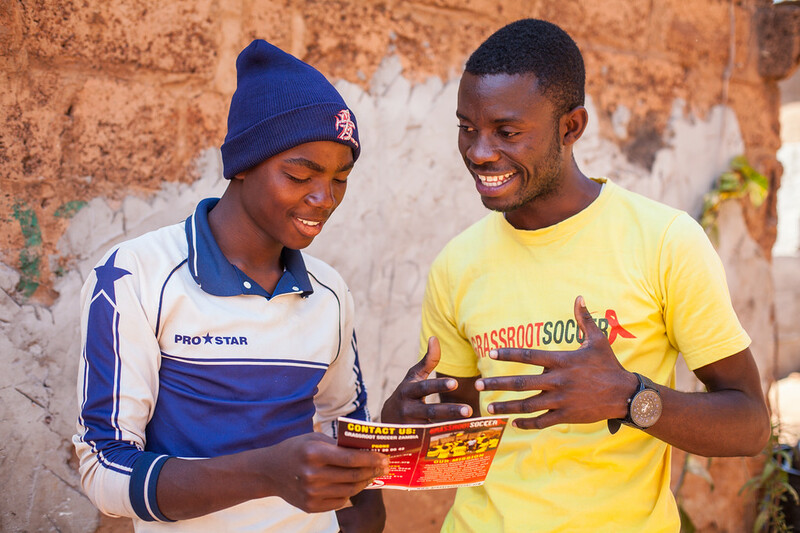 Join Grassroot Soccer, partner organizations, and the adolescents whom we serve as we debate approaches to putting youth at the center of HIV and sexual and reproductive health and rights interventions. This interactive and engaging day of panel discussions and participatory workshops will include evidence from the field, insights from GRS young adult mentor “Coaches,” our innovative soccer-based approach to adolescent health, and perspectives from our network of partners. Together we will look at the most successful approaches to build adolescent’s ASSETS in HIV and SRH knowledge and the confidence to use it, ACCESS to quality health services, and ADHERENCE to treatment and healthy behaviors, and come up with innovative and fun solutions to put adolescents at the center of creating these approaches. Attendees will leave with practical skills and resources to implement adolescent-centered design into their own organizations and communities.